Farm girl to aviator in the heroic WWII Russian flying unit the Germans called the Night Witches… June 1941 Nineteen-year old Raisa Tarasova's peaceful life shatters when Hitler's forces invade Russia. Her two brothers immediately enlist in the air corps. Despite Raisa's desire to fly and her many hours of flying time, neither the air corps nor her father would allow such a thing. She is, after all, "just a girl." In September Raisa returns to her engineering studies at the university in Moscow. Once there, she jumps at the opportunity to join a newly formed women's aviation unit. Wearing men's uniforms hurriedly cut down to fit, Raisa and 300 other female recruits are loaded into railcars and transported to a training base. After six hard months of schooling, Raisa is assigned as a navigator with the all-women Night Bomber Regiment. Their aircraft is the PO-2, a biplane made of wood and fabric. Months later, after a night of heavy losses, Raisa is given a field promotion and the new responsibility of pilot. She has no choice but to carry out her orders and face down a most significant enemy…her own fear. 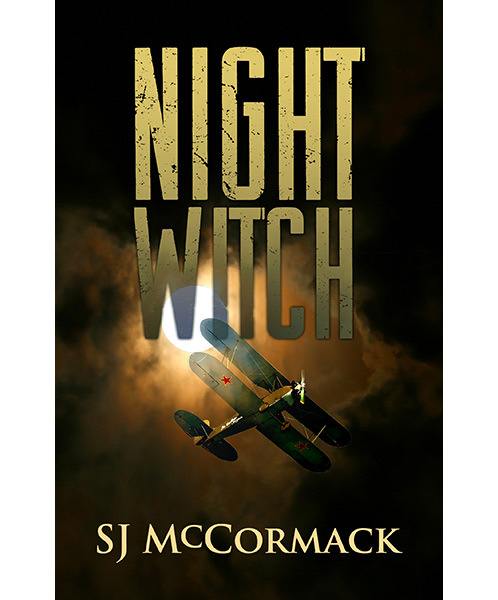 Courage, an impossible romance, and a daring rescue only a woman would devise become part of Raisa's new life as a member of the 588th Night Bomber Aviation Regiment, the NIGHT WITCHES.